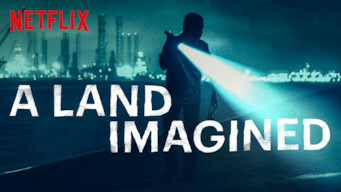 How to watch A Land Imagined (2019) on Netflix Japan! Yes, A Land Imagined is now available on Japanese Netflix. It arrived for online streaming on April 14, 2019. We'll keep checking Netflix Japan for A Land Imagined, and this page will be updated with any changes. A cop in Singapore investigates the disappearance of a Chinese migrant construction worker who spent sleepless nights playing a mysterious video game. Solitude. Toil. Insomnia. On these human-made shores, the line between dreams and waking life is drawn in sand.